This is the car charger that streams music from a smartphone through the stereo and enables hands-free phone calls. 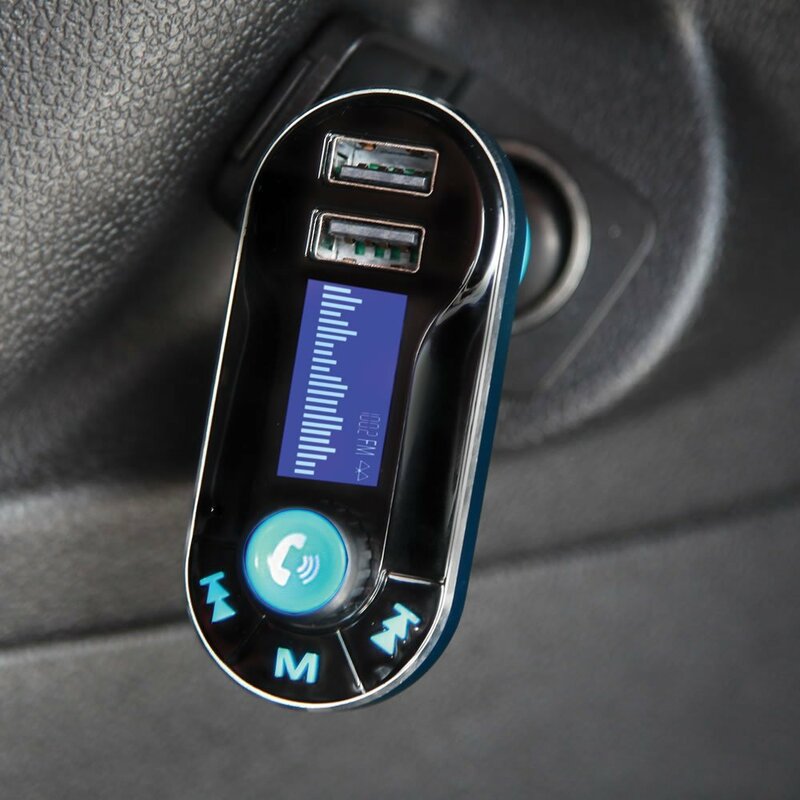 The device simply plugs into a DC port, connects to a smartphone via Bluetooth, converts an FM signal to digital music, and plays the music through the car’s speakers. Check out Hands Free Bluetooth Speakerphone FM Transmitter at its original source.